A school head teacher who defiled his 13-year-old pupil over incomplete homework has been sentenced to 25 years imprisonment will serve 25. Alex Otieno, also the proprietor of Starlet Academy in Nakuru, was convicted of the offence by a Nakuru court on Thursday, November 24th. 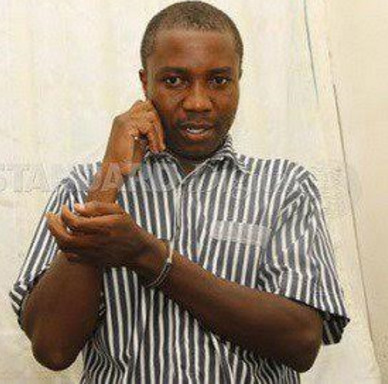 The 36-year-old father of three was charged that he committed the offence between April 30, 2013 and July 19, 2013 at Dundori in Nakuru County, Kenya. In her testimony, the minor said on July 19, 2013, the teacher called her to his office after he found out that she did not complete her homework. She said that he raped her in his office and warned her not to tell anyone. She added that her friend and classmate asked her what happened but she was scared of telling her. "When she came from the teacher’s office, she appeared shaken but when I enquired what had happened, she refused to tell me. She disclosed what had happened when we were leaving school that evening,” she said. The classmate added that she convinced the girl to report the issue to her mother that evening.The mother told the court that her daughter came home on July 19, 2013, scared and accompanied by her friend. Senior Resident Magistrate Judicaster Nthuku said she found the evidence presented by the prosecution to be true. The magistrate said the accused was not remorseful and the statement he posed to the minor proved that he defiled her. The court found the sentence to be fit and fair. The accused has 14 days to appeal the sentence.